The Dow Jones today slumped heavily after renewed concerns about global growth reemerged and investors took money off the table ahead of earnings season. This afternoon the International Monetary Fund announced it had slashed its global economic growth forecasts for the third time this year. 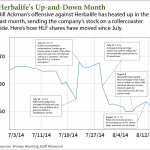 Bill Ackman's battle with Herbalife Ltd. (NYSE: HLF) has doomed the nutritional supplement maker's stock to bouts of wild volatility. In just the last month HLF stock has dropped 11.2%, surged ahead 25.5%, fell another 26.8%, and finally advanced another 5%. 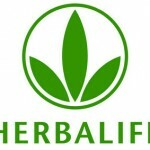 Billionaire hedge fund manager Bill Ackman has called Herbalife's multi-level marketing model a "pyramid scheme" and has taken out an expensive bet against the company. 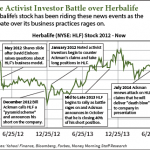 But other noted money managers like Carl Icahn are defending Herbalife (NYSE: HLF) and taking the other side of the bet, igniting a skirmish between short sellers and long buyers. 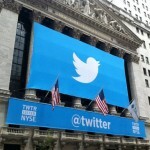 Dow Jones Today, July 29, 2014: U.S. markets were mixed Tuesday, with Europe and the United States expanding sanctions against Russian interests and sales of new single family homes dipping in May. This afternoon, the International Monetary Fund warned that rising inflation rates and sliding emerging market growth could slash up to 2% of global growth over the next five years. Bill Ackman, founder of Pershing Square Capital Management LLC, may consider his public condemnation of Herbalife Ltd. (NYSE: HLF) "the most important presentation" of his career, but you wouldn't think so looking at Herbalife stock today (Tuesday). It's just the latest battle in a two-year war between short sellers, activist investors, and a nutritional supplement company.